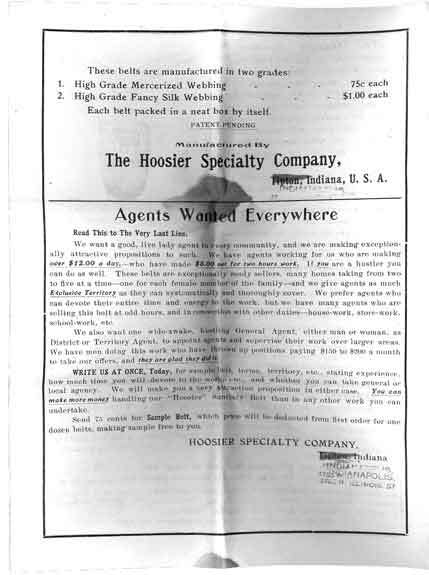 The appeal for sales personnel at the bottom of the page makes me laugh. 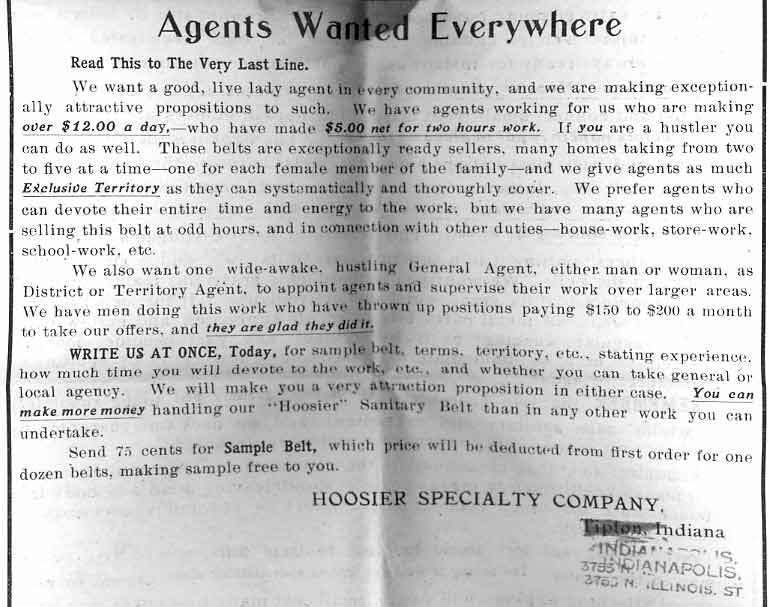 "Good, lively lady agent,""We also want one wide-awake, hustling General Agent," and "thrown up positions paying $150 to $200 per month to take our offers, and they are glad they did it," are vigorous expressions we read from advertising material in every age - at least in America. Imagine "hustling" menstrual belts door to door! But its liveliness compares with Dr. Grace Thompson's letter to patients; Dr. Thompson was an early female physician in San Francisco who developed a mail-order business for - well, we don't know what it was! The donor generously donated many other items to MUM, some already on this site. Above: Second inside page (p.3). The illustration is bigger here. Above: Back page (p.4). Read the fascinating text right below. 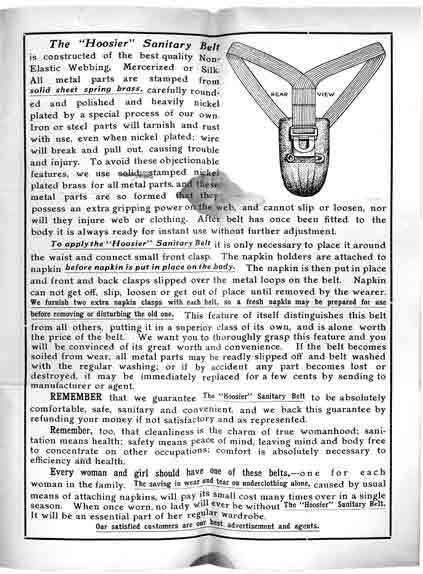 Above: This isn't the only menstrual article to be sold door to door or in people's houses. The Daintette menstrual cup reached its customers through groups meeting in customers' or salespersons' residences. Web site in any manner or medium without written permission of the author.